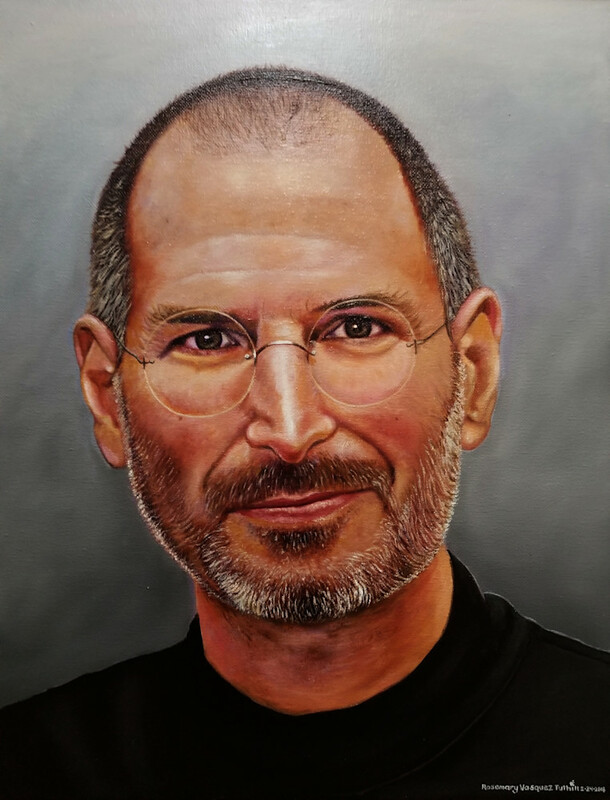 This painting is In the "Portraits of Influence" series, Steve Jobs serves as an iconic Tech Giant whose contributions include omnipresent devices whose user interfaces were elegant and functional. This painting is In the "Portraits of Influence" series, Steve Jobs serves as an iconic Tech Giant whose contributions include omnipresent devices whose user interfaces were elegant and functional. In addition, he created a culture of belief in his products. Steve Jobs was an early visionary to understand the potential of personal computers. Jobs proved to be a better industrial designer than a corporate businessman, but his steadfast pursuit of iconic products that span the globe. The background for this painting reflects the simple elegance of the "i" devices Jobs created.